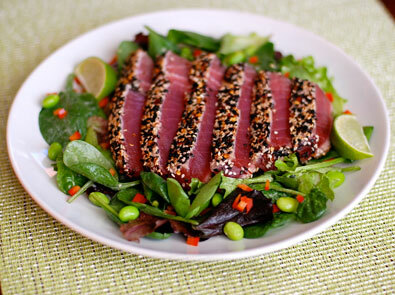 7- Place Ahi tuna sesame side down in the pan until they are golden brown. 11- Plate the salad and place the tuna on top. 12- Squeeze some fresh lime over the whole dish.